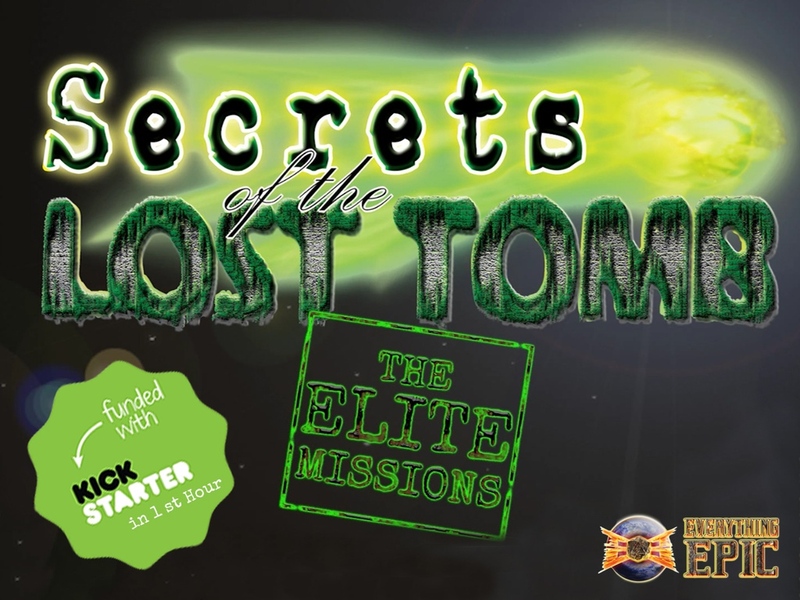 Everything Epic Games has launched their Kickstarter campaign for Secrets of the Lost Tomb: The Elite Missions. Seems a lot of people were ready and excited about this one, as they've already passed their funding goal and are working on stretch goals. Go and check out this new expansion for the Secrets of the Lost Tomb game. * Vesper's Quest - A grave robber is trying to steal the key to the Lost City of Atlantis! * Evermourning the Cursed - An Unintentional Vampire and a lost love with immortal revenge. * The Excavation - Searching for Artifacts has never been more dangerous! * Military Incursion - US Soldiers have invaded the Tomb and are getting in your way! * Biohazard - The Tomb is filling with a deadly gas! * The Ticking Tomb-Bomb - A Maniac has planted Bombs throughout the Tomb and is trying to destroy it while you're inside! * Soul Lock - You kill creatures but they just keep coming back! * Soul Extortion - The Soul Monger wants souls... and he wants them NOW! * The Hunted - The Tomb's most Dangerous Game! * The Gauntlet - The Test of a Knight from Arthurian Legend! * The Gorgon's Head Comet - The Three-Tailed Comet has a mind of its own! The campaign is set to run for another 21 days.